KK Manhole & Gratings Co. Pvt. Ltd. is one of India’s leading manufacturer of precast concrete products. We also make certain plastic products used in construction such as plastic spacers, plastic letter boxes, manhole footrests, bird spikes, etc. Our precast concrete product range spans outdoor furniture, flooring, storm water drainage, sewage drainage, security barriers, etc. These products find application in road construction, commercial and residential construction, railway platforms, and telecommunications and are specially designed for the Indian market. We have over 30 year long legacy of operating in this business and a pan India footprint. We started in this line of business in the year 1985. In the year 1992 we added to our manufacturing capacity by setting up a partnership company by the name of KONKRETE PRODUCTS CO. in Faridabad. KK and Konkrete are now considered trusted precast concrete brands for leading developers and quality conscious customers. KK leads the innovation in the precast concrete and allied industry. In a traditional cast iron manhole cover market, KK's flagship product precast concrete manhole covers and frames were the first to be introduced as cost effective, durable, and theft-proof replacement. Similarly we replaced traditional cast on site flooring with KK/Konkrete interlocking pavers, we replaced steel fencing and railings for road dividers and fencing of parks with RCC railing and fencing , we replaced brick telecom manholes with KK/Konkrete precast concrete conical manhole assembly units, we replaced cast iron and stone furniture with KK/Konkrete precast concrete furniture, and we replaced cast in-situ platform with KK/Konkrete precast concrete platform coping. 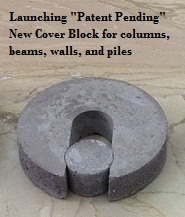 Besides these we have introduced many more innovative products, e.g, manhole footrest, plastic letterboxes, cover blocks, etc. Now we boast an employee strength of more than 150 spread across a number of sister concerns and a manufacturing footprint in North and South India. Across all companies, we have over 8 acres of area devoted to manufacturing plant, administrative offices, quality control, and research & development. We continue to give India cost-effective, durable, maintenance-free, aesthetic, user-friendly, and environmentally-friendly precast concrete solutions.